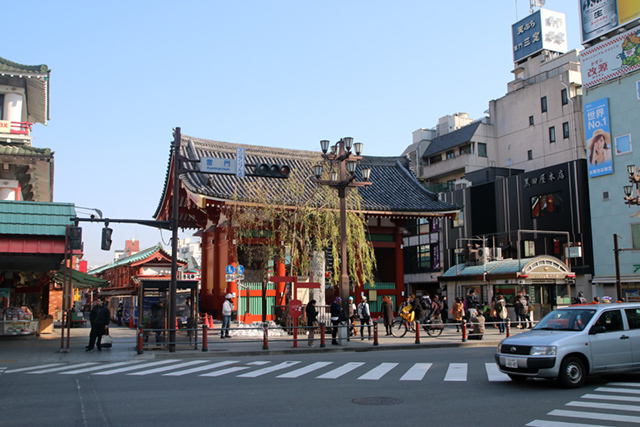 Tokyo's Senso-ji Temple is one of the most well-known religious sites and attractions in the city. Thousands of both tourists and local Japanese who make the pilgrimage from throughout the country, visit every day to pay respect. Senso-ji is a wonderful place to experience the ancient side of culture and religious practice in Tokyo, without having to break the budget. Senso-ji is the oldest and one of the most significant temples in Tokyo. 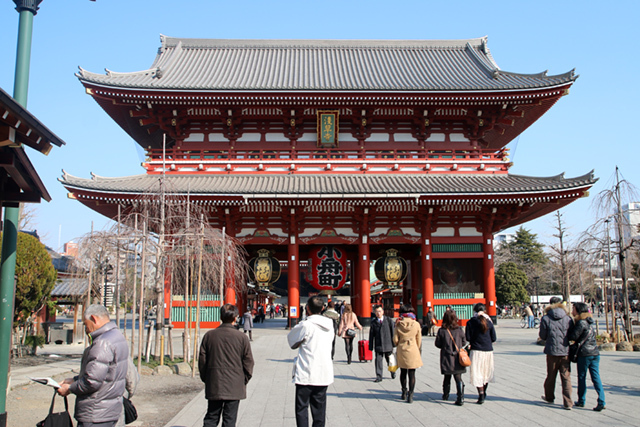 The temple is located adjacent to the Sumida River, in an area of Tokyo known as Asakusa. According to the official story, it was on a quiet morning in 628 when Hinokuma Hamanari and his brother Takenari were fishing, and all of a sudden they felt something heavy in their net. They pulled in their net to find a statue of Bodhisattva Kannon, a Buddhist deity who is often depicted as a female and known for compassion and being responsive to people's needs and prayers. The head of the village, Haji no Nakatomo, realized that this was a truly significant find and a blessing. He therefore dedicated his life to the Bodhisattva Kannon, by first remodeling his personal home into a temple. In 645, Shokai Shonin a traveling Buddhist priest, visited the small fishing town of Asakusa, and decided to build Kannondo Hall dedicated to the Bodhisattva Kannon. The priest also made the decision, which he received in a dream, that the statue itself should not be seen by humans – which remains today. In World War II, the Main Hall of the temple was destroyed, but it has since been rebuilt into what it is today. The temple remains one of the most sacred sites in Japan, and a place that attracts over 30 million people per year. One morning, during my visit to Tokyo, I decided to head over to Senso-ji to see this important site. Walking in from the south, I first passed through the Kaminarimon Gate. The gate was built in 942 and includes a huge red lantern marking the entrance. 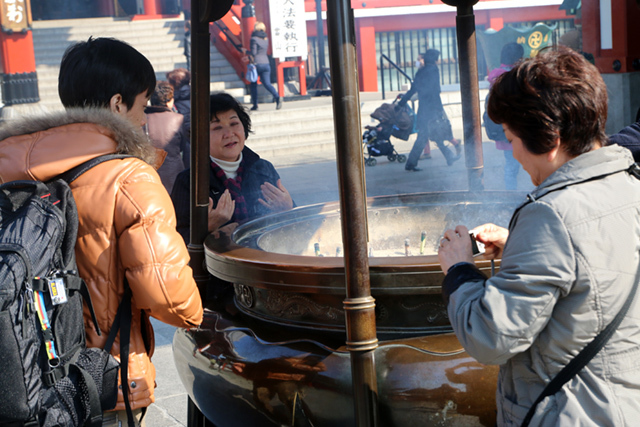 Before getting to the Main Hall, you'll first see a giant incense burner. Many Buddhist and Shinto followers, before entering the Main Hall, will first purchase a bundle of incense, light it on fire, extinguish it by waving it (instead of blowing), and then place the incense in the main burner in front of the Main Hall. They then take their hands and direct some of the incense smoke over their body's, a gesture that is believed to cleanse ones body and also symbolize healing. Another purification process you'll notice at Senso-ji is the water cleansing. To the right side of the Main Hall is a fountain of water where followers rinse their hands and mouth with the pure water to symbolize cleansing. Inside the Main Hall of the temple, people toss a coin into the coin box, bow twice, clap twice, and then bow once more before saying a short prayer. Another part of Senso-ji that I enjoyed, was walking around the outskirts of the temple. 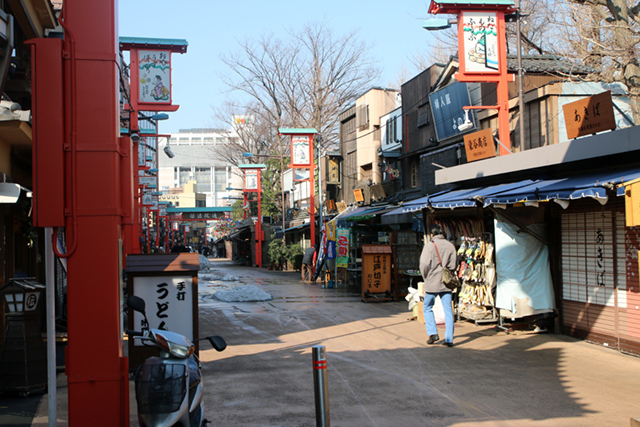 The entire neighborhood and the surrounding alleys are lined with stores selling all sorts of souvenirs and relics, as well as quite a few vendors selling Japanese snacks and goodies. I decided to sample some traditional Japanese sweet bread at a shop right next to the temple that was continually busy with Japanese students. The bread was extremely light and fluffy, and had just the right amount of sweetness to it. 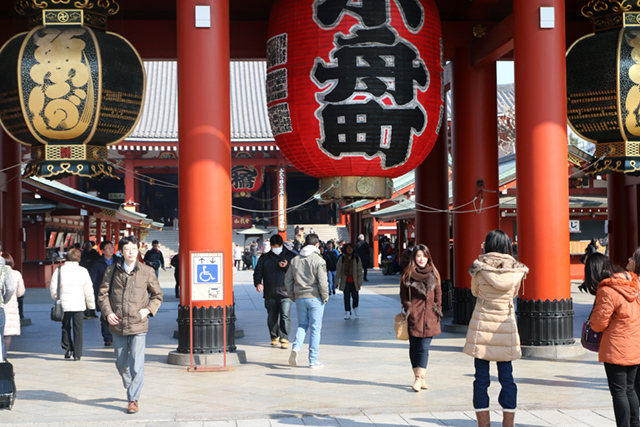 Make sure you taste a few snacks when walking around Senso-ji! As one of the most popular destinations in Tokyo, as well as being one of the most significant religious sites in Japan, a visit to Senso-ji should be on your list of things to do when you're in Tokyo. Senso-ji was probably one of my favourite places in Tokyo although it could do with having a few less tourist shops and people. Looks like I should have checked it out in the early morning. Great pic! 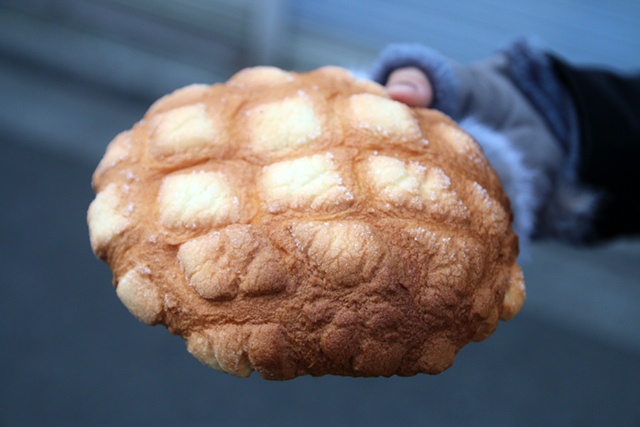 that sweet bread is Melon bread.